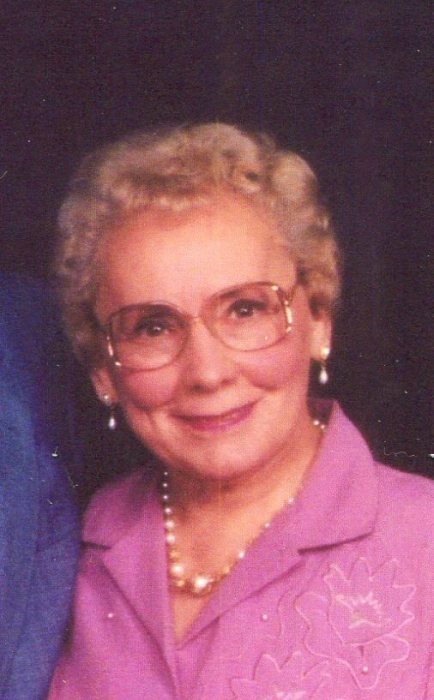 KANKAKEE, IL- Mary Evelyn Taylor, 96, of Kankakee and formerly of Urbana, IL, passed away at 3:35 AM, Saturday, February 2, 2019 at Riverside Miller Rehabilitation, Kankakee, IL. Visitation for Mary and her nephew, James Chapman will both be held on Monday, February 11, 2019 at 10:00 AM with funeral services at 11:00 AM at the Renner-Wikoff Chapel, 1900 S. Philo Rd., Urbana, IL. Pastor Raymond Gordon will officiate. Burial for Mary and Jim will be at Mt. Olive Cemetery, Mayview, IL, immediately following the funeral. Mary was born on January 24, 1923 in Urbana, IL, a daughter of Charles Clinton and Mary (Apperson) Gordon. She married Melford Dean Taylor on January 31, 1942 in Urbana. He died on October 14, 2014. Survivors include a daughter, Anita Rasmussen(Ken) of Homewood, IL; two grandchildren, Kirsten Victor(Wayne) and Brett Rasmussen(Megan); four great grandchildren, Greta Victor, David Rasmussen, Kenneth Rasmussen and Robert Rasmussen. She was preceded in death by her husband, a son( Lee Taylor), two brothers and four sisters. Mary worked as a secretary for State Farm Insurance for almost 20 years. She loved cooking, playing the piano by ear, golf, camping, Bridge, and she especially loved her grandchildren and great grandchildren. Memorials for Mary Taylor may be made to Riverside Foundation, 350 N. Wall St., Kankakee, IL 60901. Condolences may be offered at www.renner-wikoffchapel.com.